Did you know that a healthy gut affects you in more ways than just what is… you know, going on down there? Not only does a healthy gut make things easier and more pleasant in the restroom, but also a healthy gut keeps YOU healthy. Basically, all of those little gut microbes and good bacteria help your whole body’s immunity to fight off diseases. Not only that, but it’s been shown that those helpful little microbes can have an effect on your mood and brain health? It’s amazing how much those friendly little bacteria can help fight depression and even anxiety – all due to a healthy gut! So what happens when you have an unhealthy gut? Besides the obvious restroom problems you’ll probably get ill much easier, as well as possibly suffer from anything from nutrient malabsorption, to leaky gut, bloating, or even anxiety and depression. Back before I learned how important good gut flora/microbes were I suffered from bloating, IBS, anxiety and depression. Now that I’m taking charge of my health and working to improve and constantly better my gut health – there is no more IBS or bloating and the mental effects are incredibly beneficial too! So what’s the secret to improving your gut health and nourishing those friendly, good little gut microbes? There are many ways, but here are the top 5 tips that come to mind, which are ones that I employ into my life. Try incorporating some of these into your normal meals, like adding sauerkraut along side your morning eggs. Many people are becoming more sensitive to gluten nowadays – what is particularly concerning is that gluten triggers a molecule called zonulin, which opens up the spaces between the cells in your intestinal lining. This new opening allows molecules to get into the blood stream, as well as the intestine’s contents to leak out. In response, the body will mount an immune response, which could lead to inflammation & further illness (1). As for the cutting out of gluten… well, I know that this can be a hard pill for a lot of you to swallow. I am grain-free, but I know many Americans still enjoy their bread and cereal. If you do think gluten could be harming your gut there are options – you don’t have to go completely grain free like me, but you could experiment taking small amounts out of your diet as there are many gluten-free cereals and breads out on the market. This way you could still enjoy your bread and cereal, as well as partake in gluten-free grains, such as millet, rice, and quinoa. 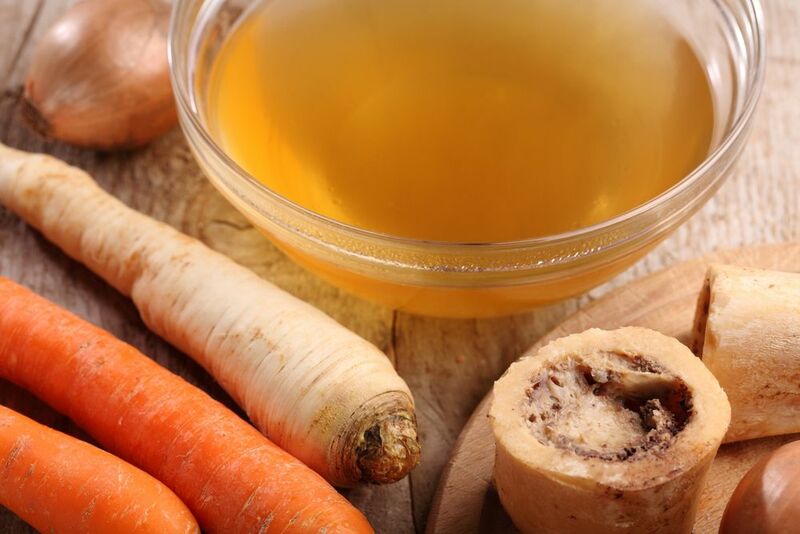 Bone broth (or stock) has been all the rage lately, and for good reason. Not only is it easy to make at home using organic bones that are broken down through cooking, but it’s full of beneficial and gut-healing nutrients like glutamine. There are many great probiotic blends available to help build-up and maintain your healthy gut flora. The most popular strains are bifidobacterium and lactobacillus, which may help with IBS, diarrhoea and possibly even digesting lactose (lactobacillus) (10). 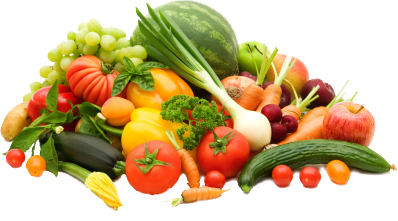 Having a good supply of the good bacteria can help reduce bloating and improve digestion! Glutamine is a conditionally essential amino acid, which is necessary for many functions in the human body. 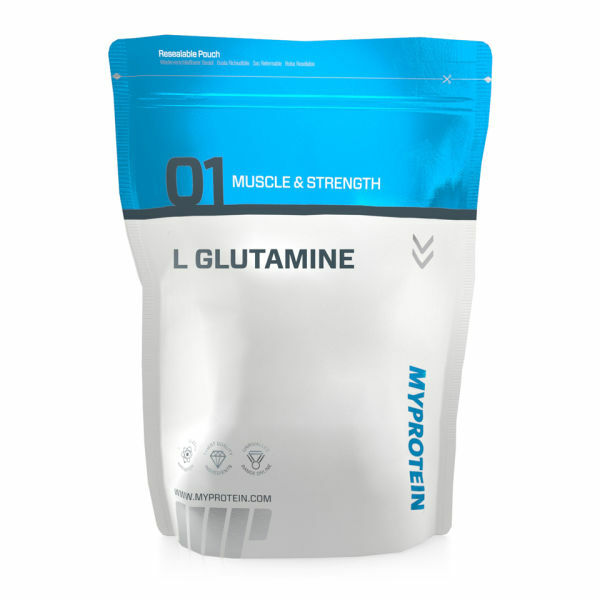 Glutamine is responsible for supporting protein synthesis, facilitating nitrogen metabolism, fueling the cells that line the intestine, and is even involved in cellular immune functions (11). A healthy body will make plenty of glutamine, but if you’re stressed or fighting an illness it could result in less glutamine being created, as well as depletion of your normal supply. In those types of cases you may want to think about supplementing with some powdered L-glutamine. 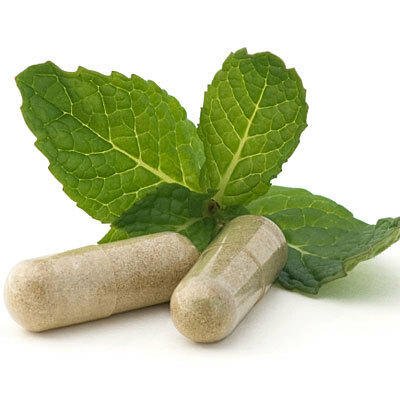 There are many benefits to taking a glutamine supplement, especially if you have gut issues. I mainly like to take the L-glutamine before and right after I workout, as it helps in muscle recovery and tissue repair. As you can probably tell from the above list, gut health is highly dependent upon what you eat and put into your body. I always like to recommend real food solutions as a priority, which is why I put fermented foods, bone broth and cutting gluten out of the diet as the first on my list. I try to incorporate a serving of sauerkraut or Kimchi at breakfast, along side my eggs and bacon, in addition to a home-made mug of warm bone broth to sip on in the evening. Not only can sipping on bone broth be calming and beneficial, but it’s so easy to make! All you need to do is locate some organic bones, a large stockpot or crock-pot, and possibly some vegetables and sea salt to add for taste. I think real food is incredibly powerful, but I’m no stranger to supplementation and the idea that we can’t always get what we need from our daily food. Sometimes supplements help us accomplish what the food alone can’t. For instance, in the case of the probiotics – there is no way I could manage to eat enough good bacteria on my own to help fix my IBS and gut issues. However, thanks to the help of a very high-dose bifido probiotic, I was able to help relieve most of my symptoms of IBS. Also, adding in some powdered L-glutamine, about a tsp or two/day, has helped as well! (3) Clark, K.L. et al., 2008, 24-week study on the use of collagen hydrolysate as a dietary supplement in athletes with activity-related joint pain. (8) Bannai, Makoto et al. “The Effects of Glycine on Subjective Daytime Performance in Partially Sleep-Restricted Healthy Volunteers.” Frontiers in Neurology 3 (2012): 61. PMC. Web. 31 Mar. 2015.